Have you ever felt so excited about purchasing an item you’ve been eyeing on for weeks for an offer that’s a million times cheaper than its original selling price? The whole idea of “saving money” is highly appreciated, but it’s also extremely difficult to ignore. Thus, coming up with a marketing strategy that provides clients and customers with awesome deals that are too good to pass up may be attained through a strategic voucher campaign. 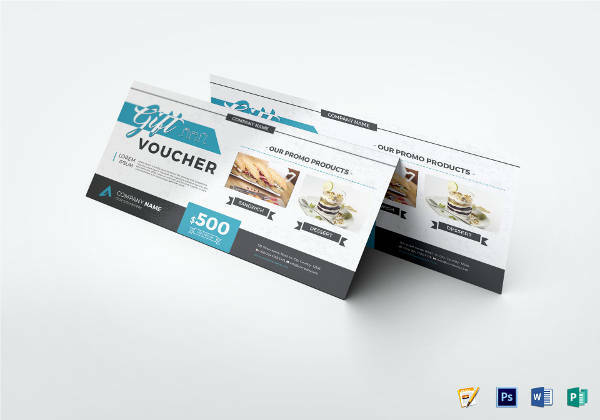 Over the years, vouchers have been a potent promotional medium utilized across various fields in business. 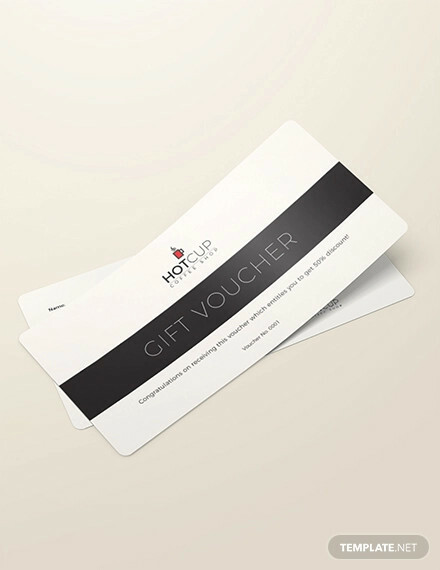 With obvious benefits such as customer retention and brand engagement, attractive vouchers possess the ability to influence a person’s decision in trying a product that they may have never even considered before. 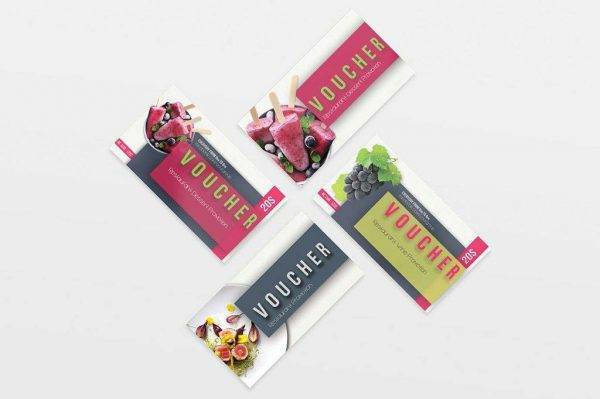 While it’s only natural for business owners to worry about losing profits, with proper understanding and careful delivery of the campaign, vouchers can be a useful tool to achieving business success. 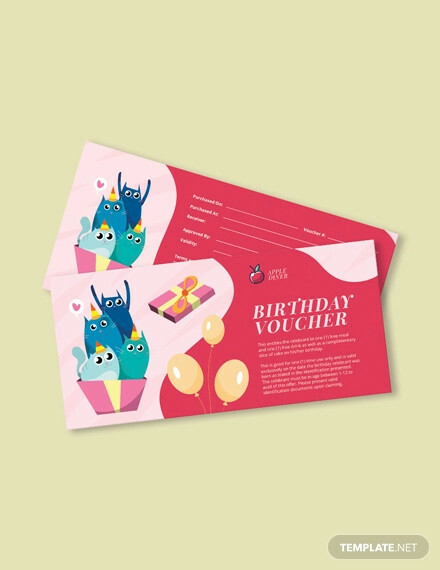 A voucher is a piece of document that is worth a certain monetary value and may only be spent for specific transactions on particular goods or services. Some examples of these vouchers include housing vouchers, travel vouchers, and food vouchers. In a different branch in business, a voucher is also synonymous to a receipt, which is often used as proof that a service has been performed or that payment has been made. An average voucher comes in different forms, and it is also used for a variety of purposes. In the field of tourism, accounting, and marketing, vouchers play a specified role that is slightly different from the other. 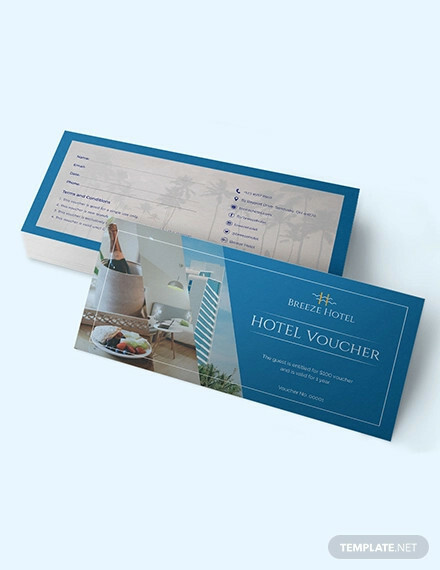 In the tourism sector, vouchers are typically used as evidence of a named client’s right to avail of a service at a given time and place. 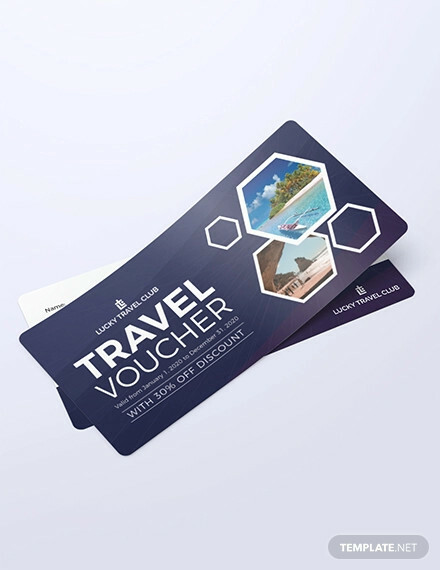 Here, tour operators or travel agents usually provide a voucher to customers for the services that have been purchased at a particular moment. This approach was common during the era when communication was difficult, limited, and expensive. These days, many reservations are made through online transactions where customers can easily print out these vouchers and present them to the intended service provider. 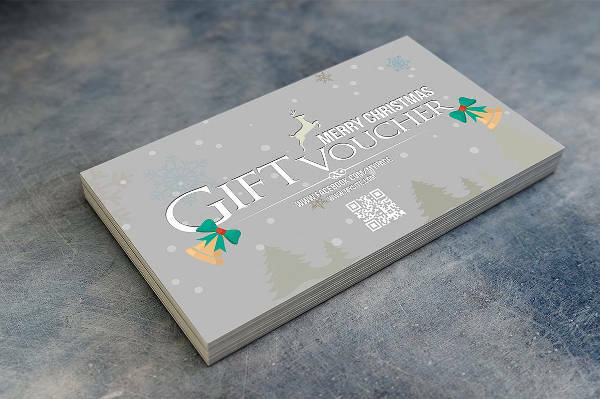 A voucher can also refer to an accounting document that is typically produced after a customer has received a vendor invoice, and right after the invoice is confirmed to have matched a purchase order. This voucher must contain key details about the payee, the amount of payment, a brief description of the transaction, and other related information. Any documentary evidence that support the entries that have been recorded in the books of account, which also happen to establish the accuracy of the transaction made, may be referred to as a voucher as well. This includes a simple invoice, a bill, a receipt, a salary sheet, and more. 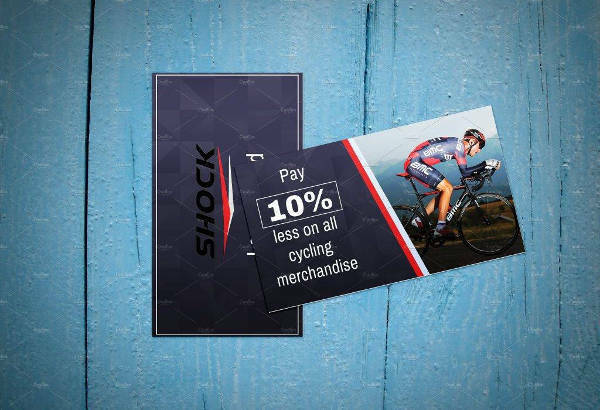 Customers looking to recharge their SIM cards with money, or to extend the availability period of the said card, may purchase a voucher from phones store run by mobile operators, or from distributors, such as grocery stores and gas stations. These vouchers are only suitable for prepaid mobile services that are common in many countries, including Italy, Spain, the UK. You may also see prize vouchers. 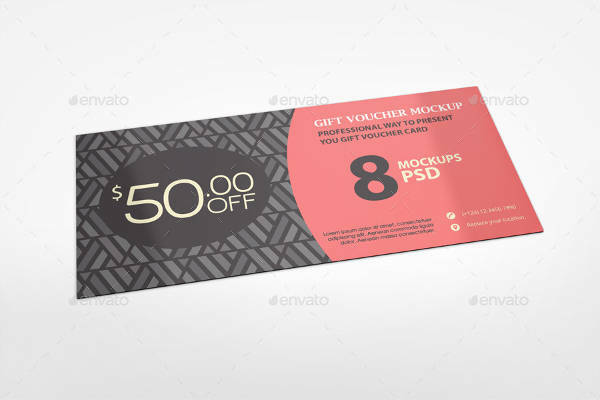 Similar to discount coupons, business vouchers are used to help a brand market their products and services to customers through various voucher marketing strategies. 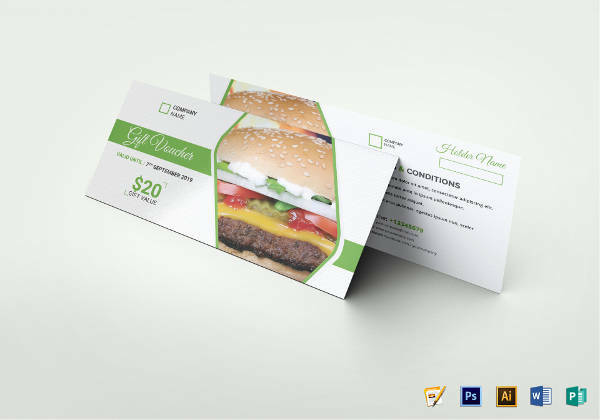 These vouchers can help a business drive traffic towards their retail outlets, which in turn, serves as an effective advertising tool for increasing sales. This is an excellent strategy to draw attention towards a particular business as opposed to its competitors, and to aid in strengthening consumer relationships as well. However, the success of voucher marketing goes beyond just offering mere discounts to clients and customers. This involves a careful study and analysis of a consumer’s buying behavior, along with the deals that they’re likely to be interested in, and the value of the said offers. Vouchers may also be redeemed online in the form of an e-voucher. 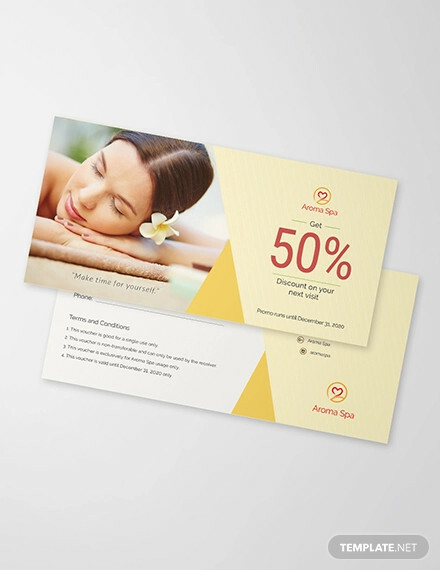 Voucher marketing is a common promotional tactic employed in e-commerce. But instead of using printed voucher copies to avail special discounts, these vouchers can take the form of any code. This includes alphanumeric codes that customers can simply enter into a system, or a QR code that may be scanned using any mobile device. There are many websites that devote their time and resources into promoting these voucher deals online for the sole purpose of increasing website traffic. This has also proven to be an effective way to conduct affiliate marketing online. 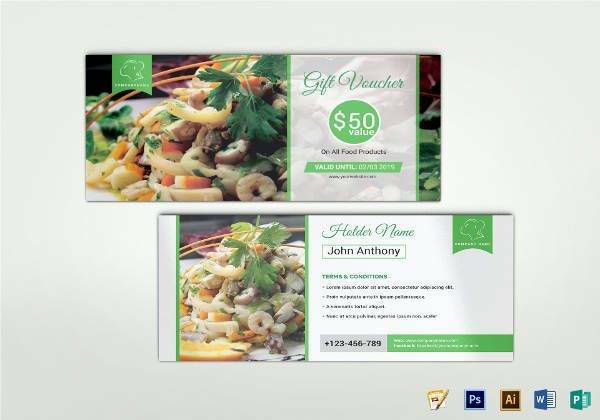 Vouchers are a handy tool to use for attracting new customers and encouraging repeat consumers. Bear in mind that while it’s easy to draw customers towards your store, keeping them engaged is another challenge that you’re forced to face. 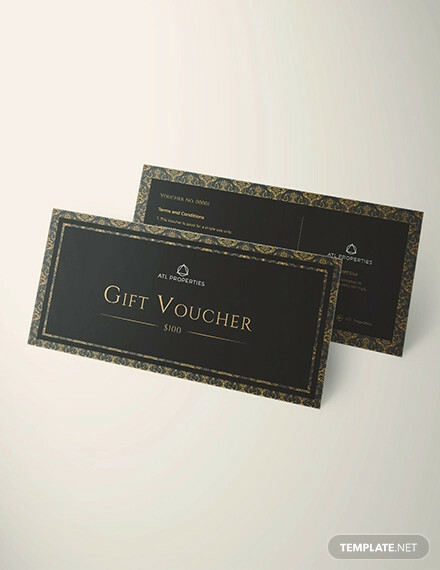 A voucher is an integral component in marketing. Not only can this help a business gain more customers, but it’s also a clever way to express your gratitude towards shoppers who have played a major role in your success. 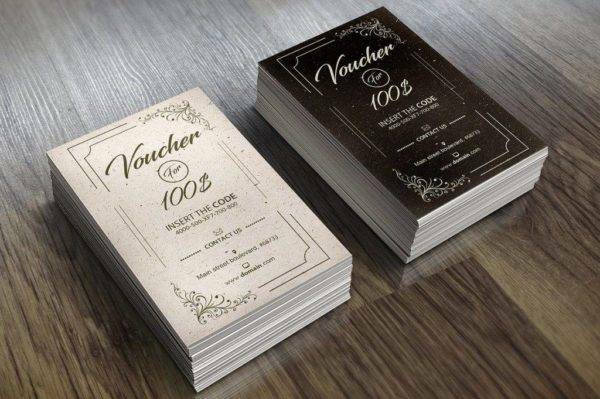 Apart from the obvious reason of advertising, vouchers are also used for different reasons, depending on the end goal that a business has in mind. You may also see thank you vouchers. Can you imagine being in a hurry, going into a store, purchasing a box of milk, only to be stopped by a staff member to ask if you could complete a perfect survey for them? Due to your polite and friendly nature, you comply to the request and spare a good five minutes of your time to finish the survey. Though you’re already late for an important appointment, at least you received a discount voucher to make up for the lost time. Using a voucher to reward customers who have completed a product survey for you is a great way to generate more responses. This will compensate for the time and effort exerted for your study, and make respondents feel appreciated for what they’ve done. Awarding customers that attend your grand opening is another way to form a crowd. 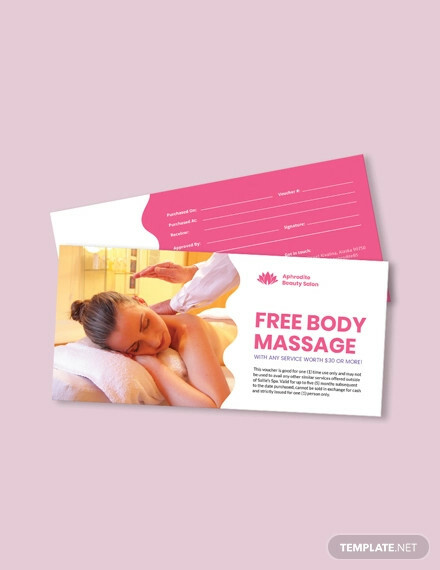 The buzz surrounding the whole event would then give you enough publicity to boost traffic towards your outlet.You may also see printable vouchers. While we all adore receiving gifts from the people that care about us, it’s the giving part that always puts us in a dilemma. 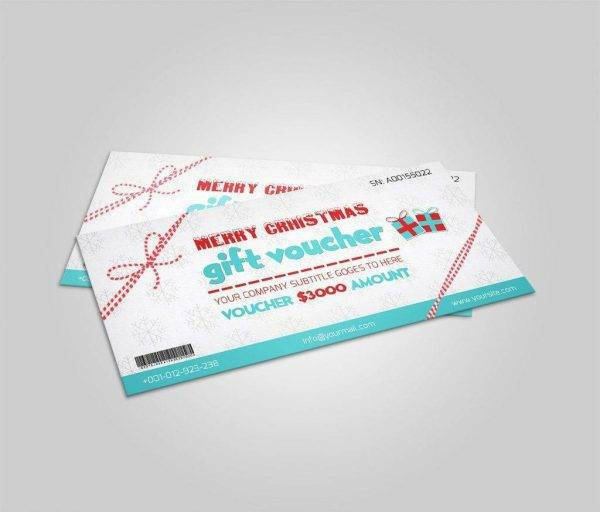 Fortunately, many retail stores and shopping centers sell gift vouchers for undecided customers to purchase. 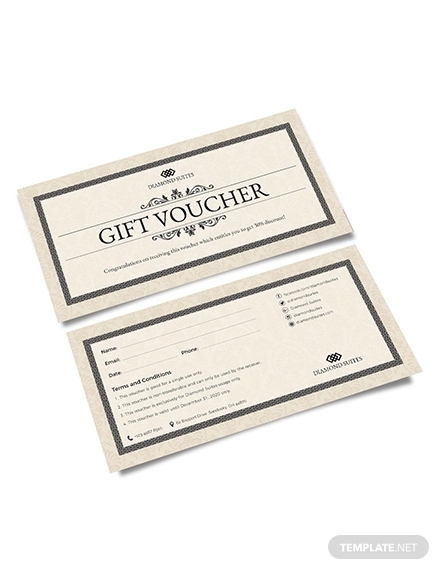 So rather than buying something you’re unsure about, get a gift voucher instead! It’s the safest thing to gift, as it offers a recipient the opportunity to choose something they might actually like. This can suit any possible occasion — be it a birthday gift, a Christmas gift, a graduation gift, or maybe even a company gift awarded to top-performing employees in the workplace. Say you’re running a fashion retail shop. Summer is coming up, but you’re still left with loads of stock from the previous season. Fashion trends come and go, so these items are bound to go out of style anytime soon. If these items don’t fly off the racks in the coming weeks, then you’d have to replace them for the new season, and store multiple boxes of off-season goods in the shop’s back room. A slow-moving store inventory can take up a significant amount of storage space, and make it difficult for a business to see a return on investments. This is especially important when dealing with perishable goods. Managing a supermarket or convenience store is extremely risky. If a product isn’t consumed before the indicated expiry date, the business will experience a significant loss in profit and goods due to the number of stock that goes to waste. For retail stores and distributors that carry more than one product line, using a voucher to cross-sell products and services can help promote better sales. For instance, the voucher can offer a special deal where for every purchase of Item A, customers can enjoy a 50% discount for Item B. This persuades a customer to purchase more than just one item from your store, and spend more than they initially planned. This will also lead to a continuous inventory flow for your business, and the manufacturers involved, to benefit from. You may also see cash receipts. 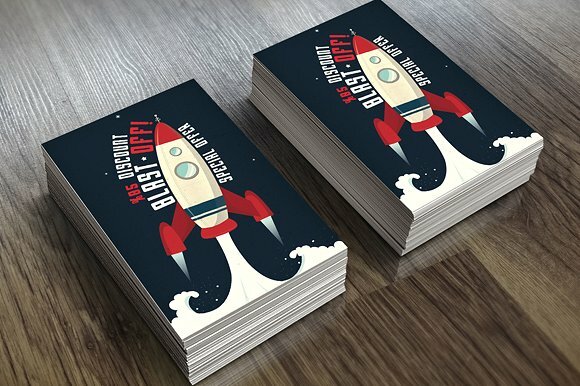 Imagine this: a customer orders a thousand event flyers from your printing firm. Due to the great number of flyers included in the order, as a thank you, you offer them a discount voucher of 20% off their next transaction. And since a deal like this is too good to pass up, the customer is likely to do business with you again in the near future. Giving customers a reason to come back to you will create a sense of familiarity, which can then increase the chances of a repeat business. However, it’s important to up-sell items that are appealing to customers as well. It could be a bar of chocolate, a bottle of shampoo, or anything that your target audience will like. Customers tend to wander off during the most unlikely circumstances. Perhaps they’ve found an alternative for a cheaper price, or maybe your competitor has started a contest that they’re interested in joining. Whatever their reason may be, this can be bad news to the survival of your business. You may also see receipt vouchers. Knowing this, you need to step up your game somehow. Lots of companies fall flat during the slow times of the year. This usually occurs a few weeks after Christmas (mostly because the holiday rush has left their bank accounts understandably empty), and the months between Fall and Winter. By creating a customer database, you can offer some sort of an inducement to fill in these dry seasons. 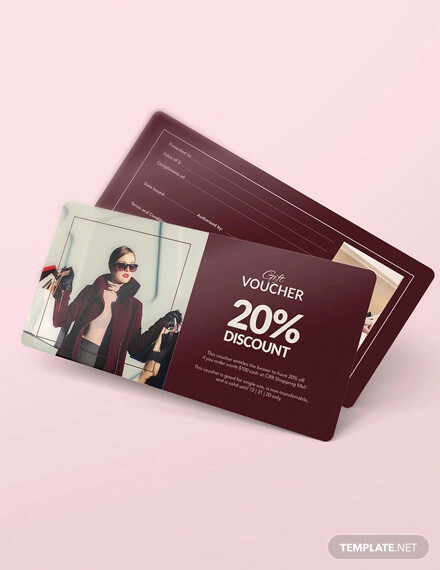 Launching a strategic voucher campaign is one way to attract customers to your store and stimulate impulse buying.You may also see spring vouchers. Notice how many companies hand out vouchers for their freshly-launched products and services? This is one approach to brand advertising in such a way that would actually capture the attention of new customers and recurring ones. And just how can a voucher achieve this marketing goal? Put yourself in the shoes of an everyday customer. While shopping at your favorite beauty store, you come across two facial masks of the same type, but from different brands: one is from a brand that you’re relatively familiar with, while the other is completely foreign to you. Naturally, you’d choose the facial mask manufactured by the company you’ve grown accustomed to. 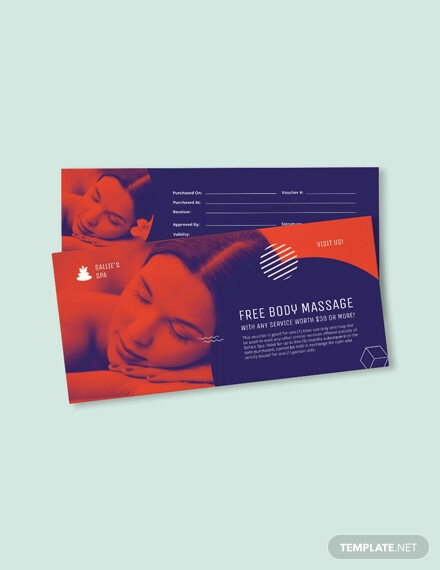 You may also see fitness vouchers designs. But what if we bring a voucher into the equation? 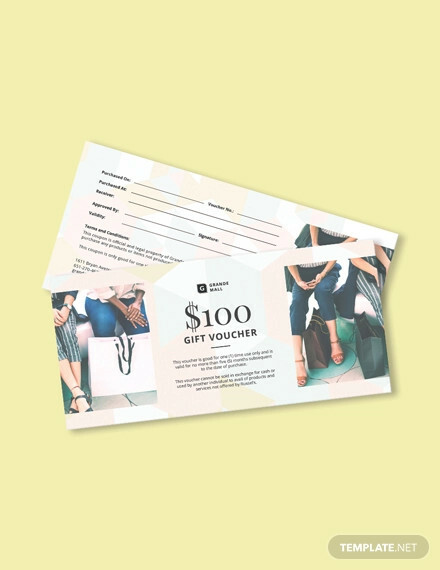 The shopping voucher offers a “Buy 1 Get 1 Free” offer for the latter, leaving you to decide between a product from an established brand or the one that comes with a better deal. Offering customers something new to try out is a risky move, but if you give them the opportunity to enjoy what you have to offer without paying for the full price, you might just convince them to switch to your products instead. Now that we’re familiar with how a voucher works in the business world, you must be wondering how voucher marketing is executed. 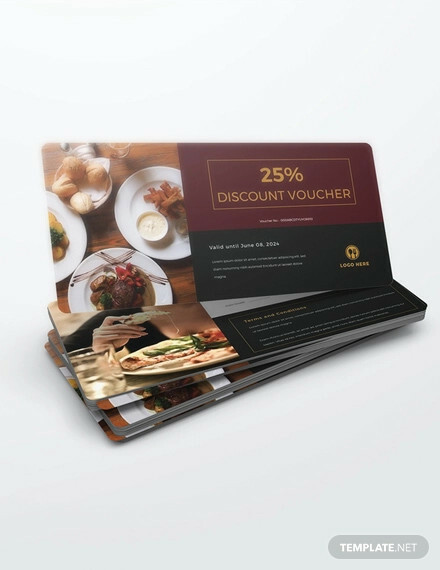 If you’re hungry to make a sale, and you’re into experimenting various brand development strategies, then here are a few ways to help you go after customers with an appropriate voucher marketing approach. Back in the day, most, if not all, marketing campaigns were carried out manually. Staff members had to walk around with brochures and flyers to hand out to random people at public areas. These face-to-face encounters might have been stressful (not to mention intimidating) to employees, but it was the perfect way to build a personal connection with potential clients and customers. This initiates a conversation that allows customers to ask questions and make inquiries directly to business representatives. 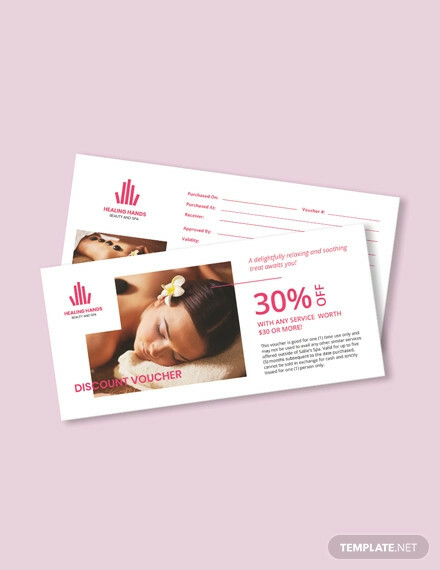 Though this might not be as common as it was before, many businesses continue to employ this strategy to ensure that their discount vouchers reach the hands of potential customers. But for this to be carried out successfully, marketers must first identify their demographics. Say for example, a clothing store targets pre-teens to young adults as part of their intended market. You may also see gift coupons. Knowing this, marketers must choose a venue that is thriving with individuals from the specified group in order for them to promote their brand effectively. The business could set up a small booth in the middle of a shopping center during the summer, and give away discount vouchers to customers in exchange for their phone number or formal email address. Email marketing isn’t something new in the world of advertising. Many businesses send out newsletters via email regarding brand announcements, product releases, and other relevant updates for recipients to keep up with the latest happenings. But to kick it up a notch, how about sending vouchers to loyal customers as well? Online businesses could easily track the behavior and activities of customers thanks to the individual accounts that have been registered. 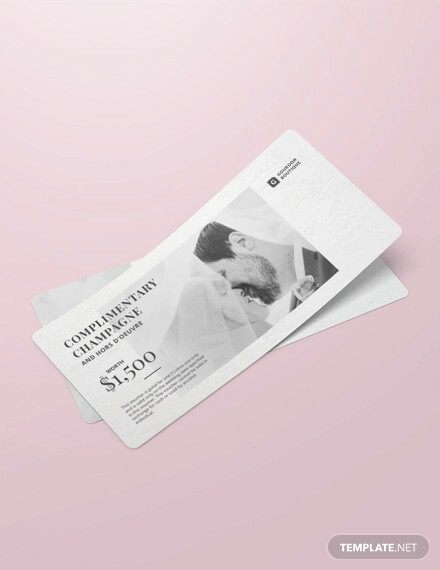 If your customers have made great contributions to your business over the past months, sending vouchers to them privately is an excellent way to bring you closer to your customers. 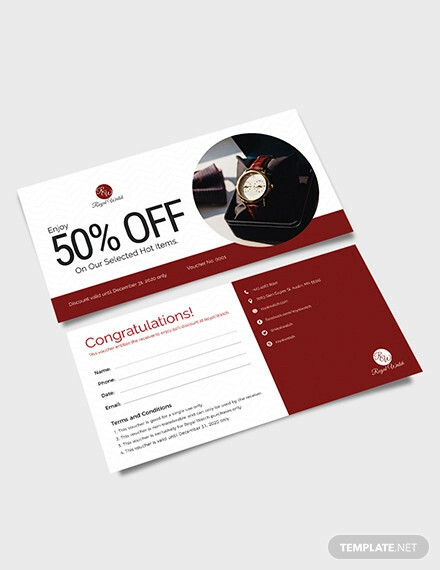 You may also see business coupon examples. 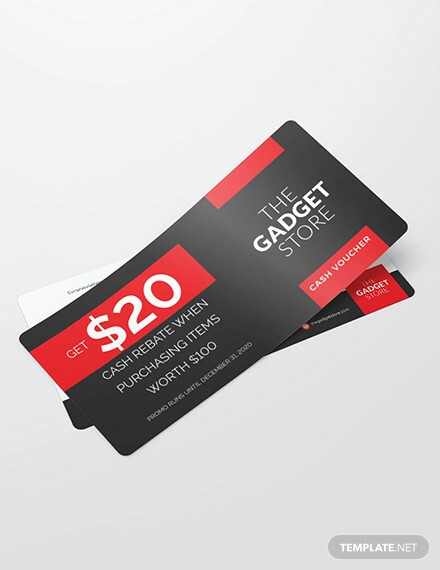 You can provide a printable or downloadable copy of the voucher for them to present at your physical outlets, or supply them with voucher codes to redeem at your online store. If you’re looking to power traffic to your company website, then conducting a voucher marketing campaign over the internet isn’t such a bad idea. Online customers that visit your website could easily locate and download these vouchers after answering a quick survey, casting a vote at your poll, signing up to your newsletter, or even at their own free will. This also gives you the opportunity to promote products, services, and other special deals around your website that visitors might be interested in. If you’re lucky, you might even push a sale that doesn’t involve the use of a voucher. 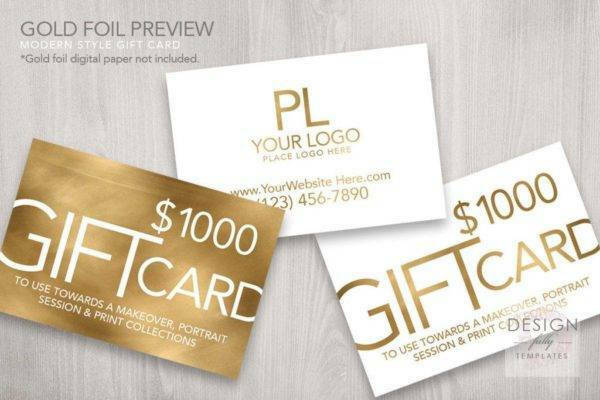 You may also see gift card examples. The widespread use of social media has made it a common marketing platform for many businesses online. Social media marketing is extremely easy to conduct, considering how nearly everyone of the human population owns at least one social media account. Some of the most popular social networks, like Facebook and Twitter, contain features that make it easier to spread information out like wildfire. A simple tweet or post that consists of a voucher code is bound to generate a great amount of attention both locally and internationally within a 24-hour period. The more ‘shares’ it gains, the more brand awareness is built. As humans, we’re known to respond a lot better to creative visuals as opposed to a plain and boring text. 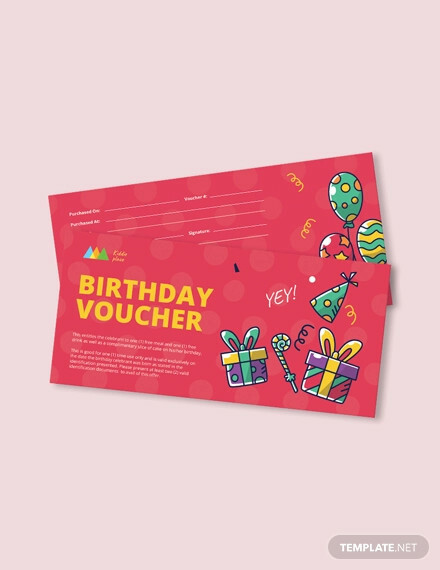 Though designing these vouchers can be a fun way to show off your creative side to marketing, there are some essential features that every voucher design must have. 1. Take Note of its Purpose. 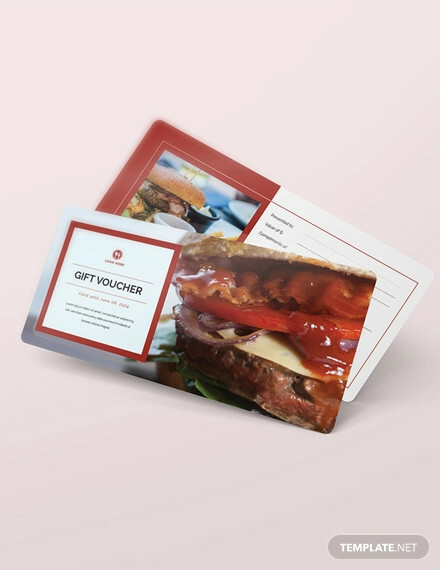 Voucher are usually designed for their own specific purpose, like for instance, how meal vouchers differ from fitness vouchers in terms of their individual content and function. This proves the need for marketers to tailor their voucher according to a specified purpose. This way, voucher holders could easily identify what the voucher is for, how it may be redeemed, and whether or not it’s something they could use now or in the near future. 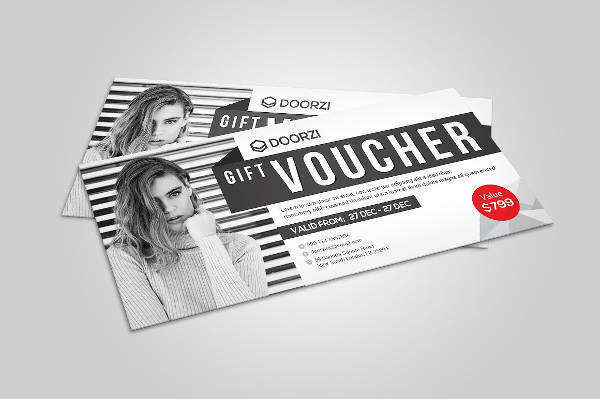 Once the purpose of the voucher has been defined, you can then discuss this with a graphic artist to decide how this may be incorporated into the design. It pays to know what your competitors are up to, especially when forming a plan that could bring you one step ahead of the leader board. One way to outdo their current strategies is to study their strengths and weaknesses, and find out what you could do to gain a competitive advantage. Many of the industry’s most successful brands employ strategic campaigns that involve both conventional and digital forms of marketing. 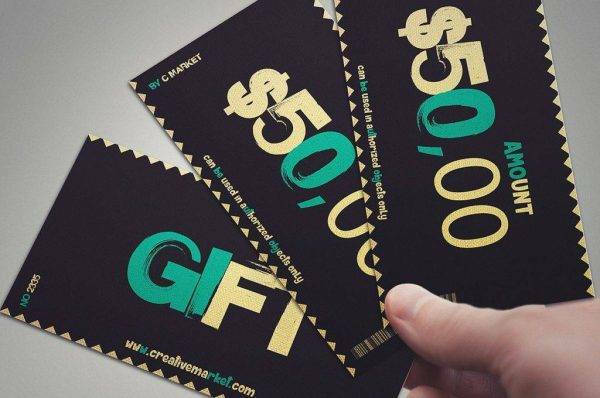 Besides making these vouchers readily available in your company’s website, you could also carry out several contests and quizzes to stimulate interaction with the online community. 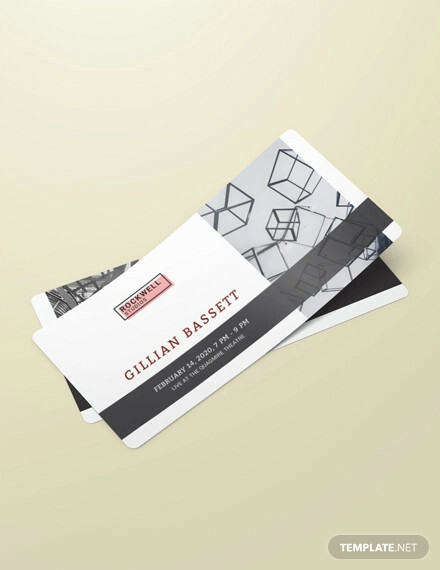 This may influence a customer’s perception towards your brand by solidifying your brand image in the eyes of your target market.You may also see brand marketing examples. Keep in mind that while your competitors may seem like your enemies, they could also be a friend through various co-marketing efforts. In an attempt to cross-sell items with your vouchers, meet up with a similar business in the industry that might share a common goal as you. From there, perhaps you could develop an even bigger voucher campaign by putting your creative and intellectual minds together. 3. Include a Redemption Date. The whole point of offering a voucher is to prompt an immediate sale. However, people tend to save these vouchers for a rainy day, which defeats the whole purpose of a moving inventory. Hence, creating a sense of urgency by indicating a point of redemption is highly advisable. This ensures that the holder recognizes the relevance of such voucher, and if they do fail to redeem it before the said date, you’d still be able to communicate your offered products and services to customers. Although the voucher deal is no longer valid, people might still be interested enough to avail your products or services in its full price. You may also like food coupon examples. 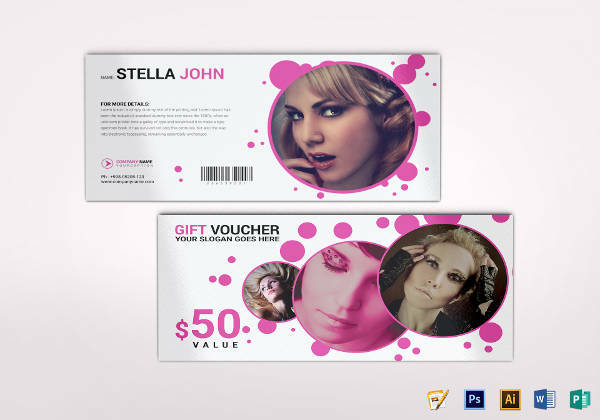 A visually attractive voucher is nothing without a good value. 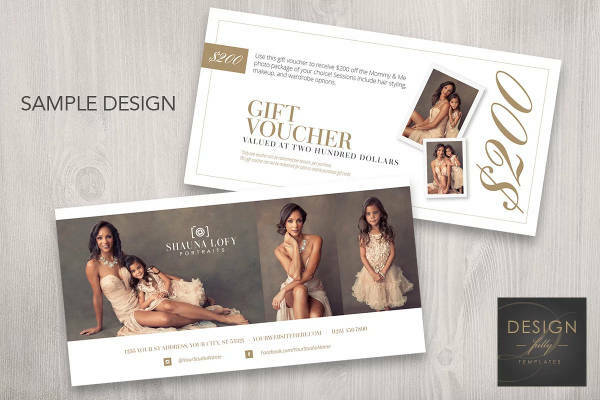 For this reason, it’s important to focus on the design of your voucher, as well as its worth. Consumers tend to ignore discounts that aren’t worth the hassle. If you’re offering a 5% discount on a $15,000 refrigerator, do you think people would be willing to spend that much money right then and there just to take advantage of the offer? If anything, looking for a cheaper option or waiting for the item’s price to be marked down in the coming months seems like a fitting choice. You must offer a deal that will prompt shoppers to strike while the iron is hot. Furthermore, you must also calculate just how much your business is capable of offering to ensure that you won’t end up losing instead of gaining.You may also see marketing brief examples. 5. Focus on its Design. Now is the time to put your creative skills to the test. 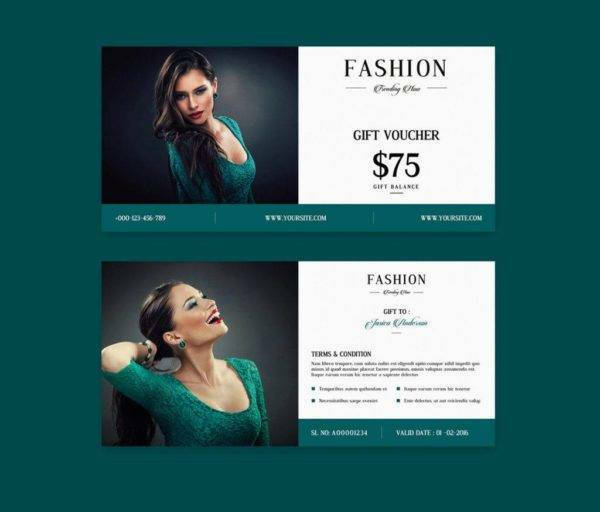 Enforce your brand to an audience by creating an eye-catching voucher design that’s impossible to miss! Start by incorporating various design elements that promote strong branding. Select colors that may easily be associated to your brand, along with images and illustrations that reflect what your business is all about. 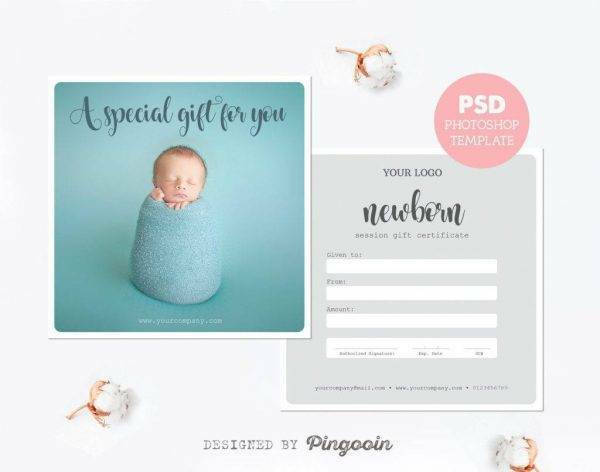 Choosing graphic elements that can attract the eyes of clients and customers, while also communicating your brand message, is key factor to consider. You may also check out drink coupon examples. Aside from a creative design, it’s also important to stick with an informative content. The voucher must indicate the value of the document, instructions on how it could be redeemed, a redemption deadline, and other terms and conditions that the holder must know about. This should give the recipient a reason to hold onto the card from the moment it is handed over to them.You may also see advertising plans. 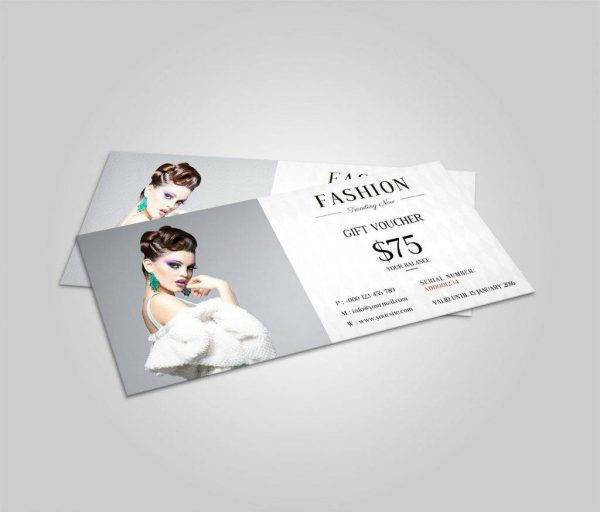 Voucher marketing is an efficient and cost-effective approach to product, service, and brand promotion. Investing on this campaign can be beneficial in a lot of ways. 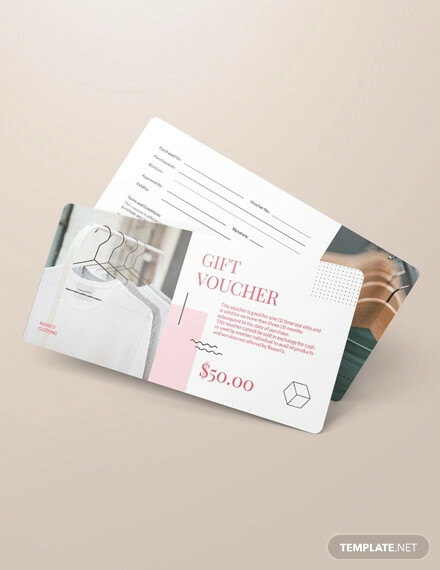 In addition to attracting new customers and prompting repeat business, these vouchers can also aid a company in moving merchandise to prevent the occurrence of a static inventory. 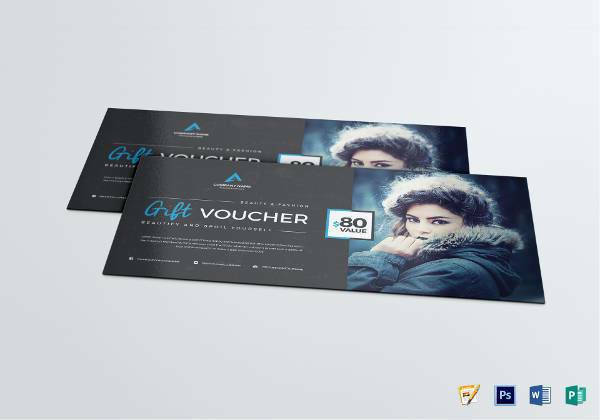 And the best part is, just about any business of any type and nature can employ these vouchers to their promotional campaigns. You might be interested in discount coupon examples. 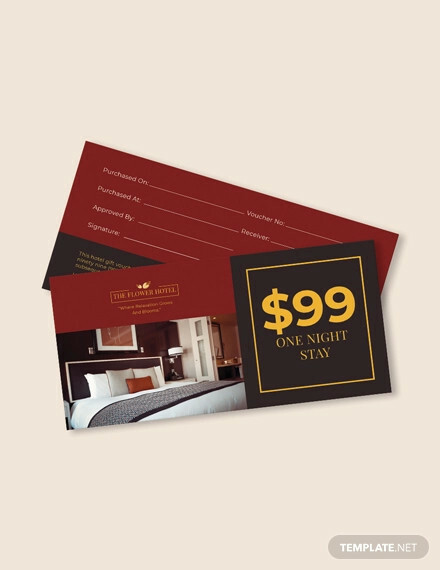 At the end of the day, what matters most is the marketer’s ability to connect with clients and customers through a well-defined voucher campaign in order to boost sales and raise brand awareness.You may also see VR marketing examples.